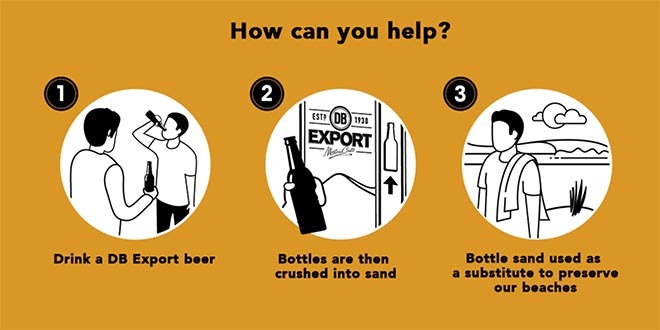 DB Breweries has launched “Beer Bottle Sand”, an environmentally friendly campaign designed to encourage the recycling of glass beer bottles. In New Zealand, three out of every twelve beers sold end up in landfill. The Beer Bottle Sand project aims to keep recyclable glass out of landfill and sand on New Zealand’s beaches. 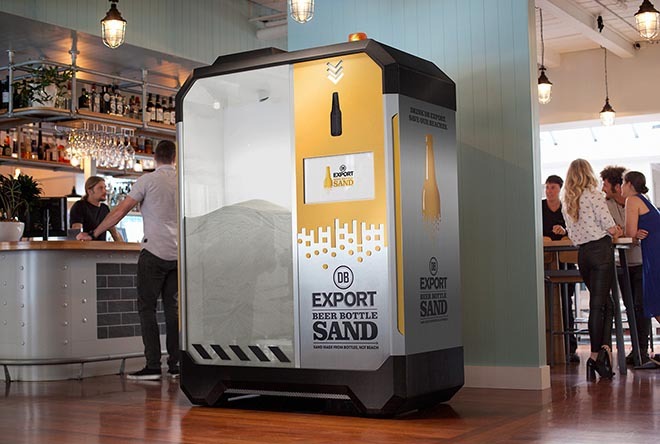 The brewery has built a fleet of machines that let their drinkers instantly turn their empty bottles into sand substitute. DB Export Beer Bottle Sand will then be supplied to construction companies and commercial partners, reducing the country’s dependence on beach-derived sand. 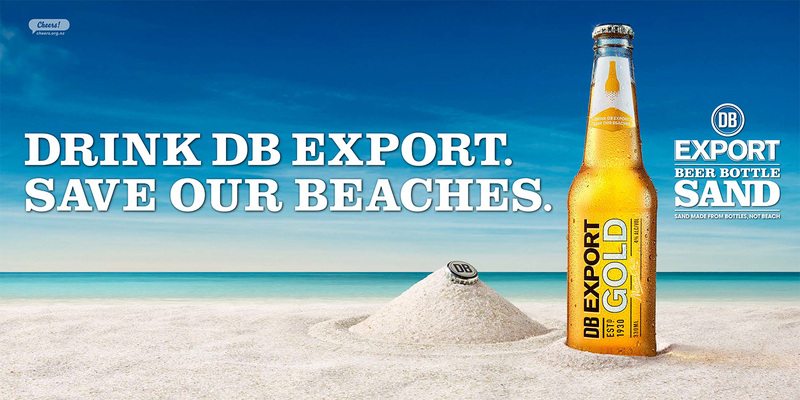 To do their bit, New Zealanders simply have to empty a bottle of DB Export. 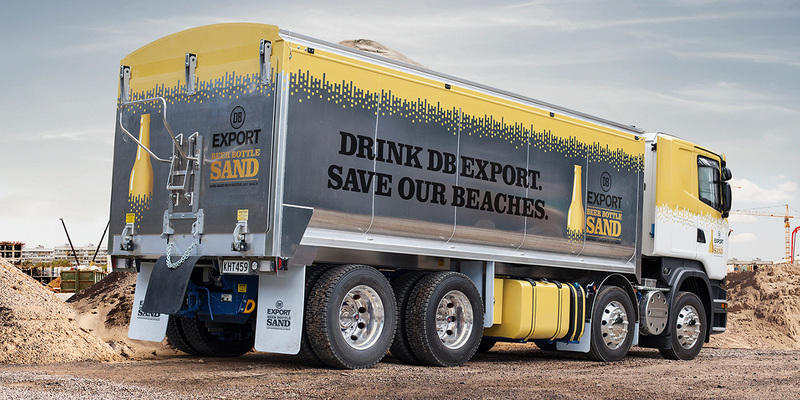 The Beer Bottle Sand campaign follows on from the ongoing DB Export Brewtroleum campaign. See more at DDB. 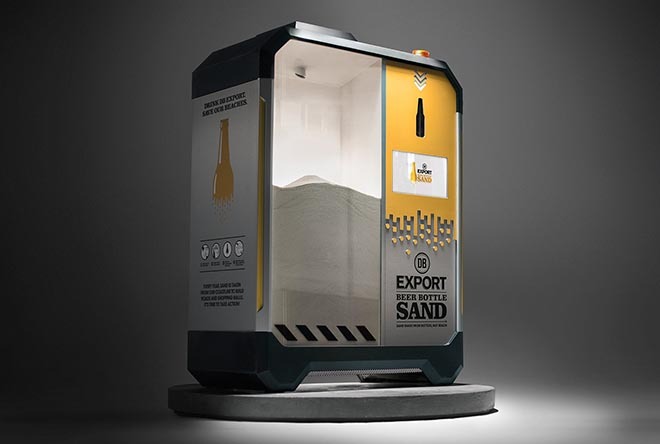 The Beer Bottle Sand Machines reduce an empty bottle of DB Export into sand substitute in just 5 seconds. As the bottle is inserted, a laser triggers a wheel of small steel hammers spinning at 2800rpm. As the bottle is pulverised a vacuum system removes silica dust and plastic labels, leaving behind 200 grams of sand substitute. The brewery is in the process of finalising a two year deal to supply DB Export Beer Bottle Sand to Drymix – New Zealand’s biggest producer of bagged concrete. Beer Bottle Sand will also be supplied to national roading projects, commercial and residential construction, right through to golf bunkers. The Beer Bottle Sand campaign was developed at Colenso BBDO. Filming was produced at Finch. Media was handled at PHD. PR was handled at Spark PR & Activate. Shopper marketing work was done at Raydar. Digital work was produced at Union Digital.